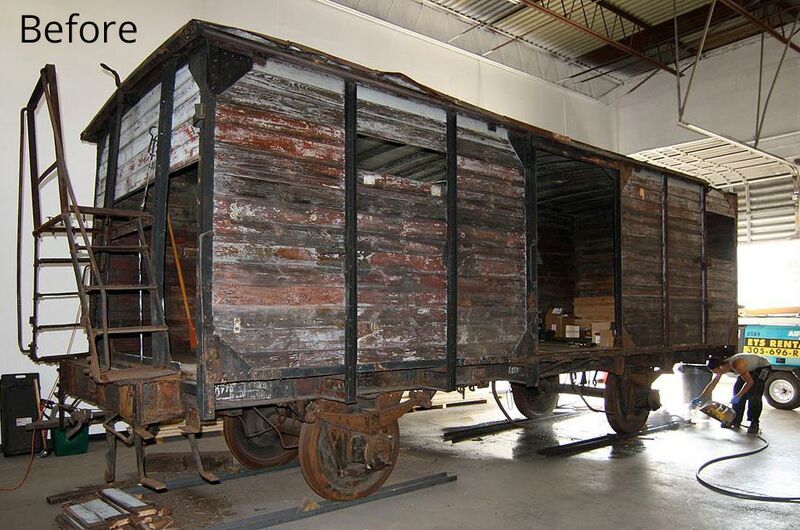 In 2007, the Holocaust Documentation & Education Center acquired a rail car from Poland. On February 13, 2007, an official unveiling was held at the Broward County Convention Center. Students in grades 6 and above are welcome to come with their classes. Arrangements can be made through the Center’s office. Tours of the rail car are available to students, organizations and individuals, by appointment. Please contact the Center for more information. From September 2007 until November 2011, the rail car has undergone major restoration and preservation to restore the rail car to its wartime state. 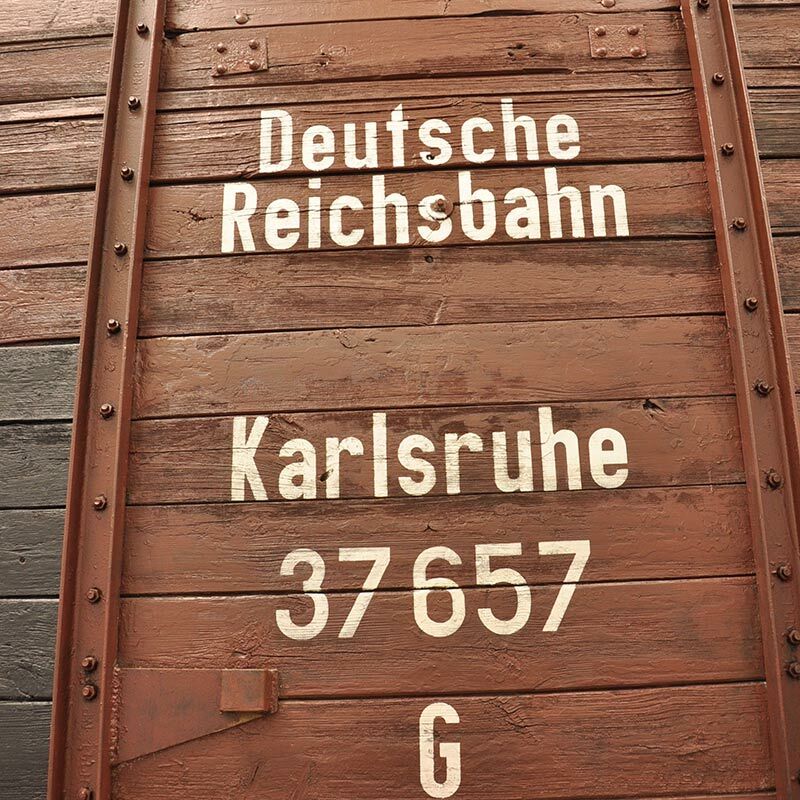 At least two complete sets of German identification and designation numbers were revealed on the undercarriage of the rail car. 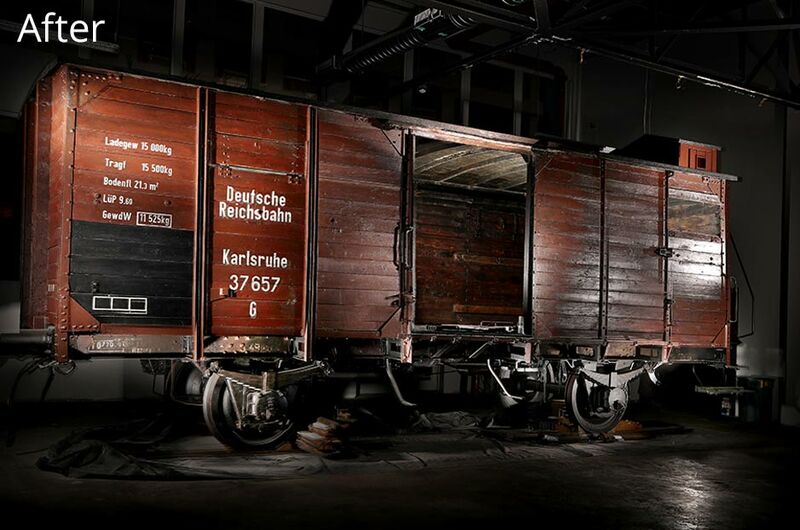 These were both conclusively painted up the frame of the rail car during German Railways service, confirming its use during the Second World War. 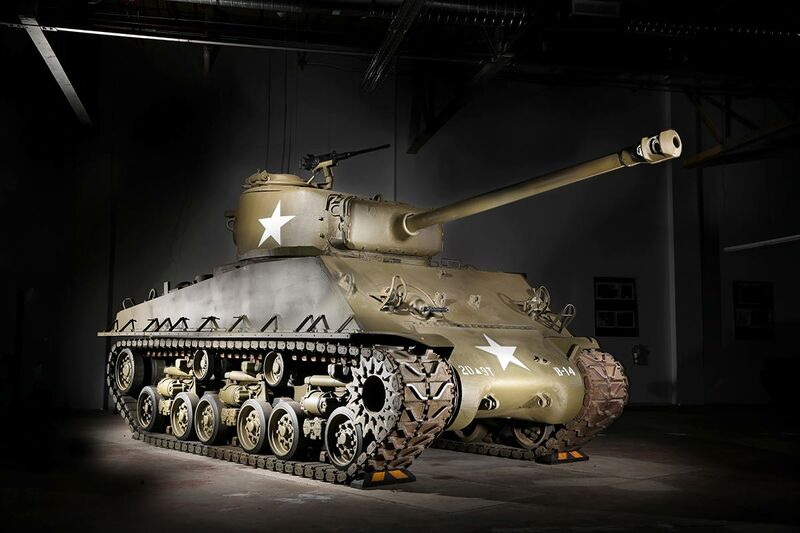 On June 3, 2016 the HDEC previewed our newly acquired WWII M-4A3E8 Sherman Tank, which liberated the Dachau concentration camp in Germany. The acquisition of this tank, which is on permanent loan to the HDEC from the U.S. Army, was a seven-year effort in the making. We are indebted and grateful to Senator Bill Nelson and his staff for their tremendous efforts and commitment to help secure this incredible and historic artifact for our Museum, which will tell the story of Liberation when Allied soldiers entered the camps and confronted the enormity of what had been done there.